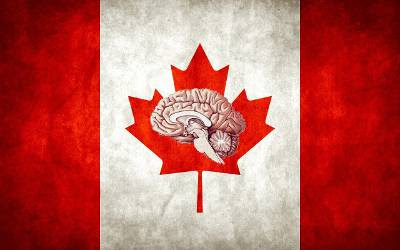 It wasn't long ago when I would lament on the state of Canada's new media and tech industries and the brain drain to our neighbours in the US and overseas. The market was still small, companies were young and the talent pool was sparse. Things have looked up dramatically in the last few years, at least in the case of our video games industry. We've nurtured our homegrown talent, established better educational programs, grown our industry associations and the government has gotten into the act with tax incentives and long-term initiatives targeted to the creation of interactive media. There's a feeling among UK-based studio heads and Tiga, the trade association that represents them, that government tax breaks are needed to create a more favourable business climate for games publishers and studios. It's a valid hurdle to overcome. We've seen it done before in other industries. Tax subsidies, government funds and a ready pool of hungry talent has had a tremendous impact on B.C. 's film production industry for years and has done much to earn the region its moniker of, "Hollywood North". And now we are seeing the Canadian government taking a more active hand in shaping the health and future of our burgeoning video games sector. Just look at the recent announcement by Ubisoft to open a brand new studio in Toronto (and crowning the inimitable Jade Raymond as studio head no less). Far from being a decision born from a random spin of a globe, the government of Ontario actively courted Ubisoft over the past two years before the publishing giant was ready to pull the trigger on their expansion plans. The implications for the Toronto gaming scene are, of course, massive and likely on a similar scale of EA's acquisition of Distinctive Software in the early '90s. But back to the point of tax breaks: yes, they are extremely important. They are also hardly the only factor in the equation. As far as Canada is concerned, I like to think that we have other things to offer besides lower operating costs, things like our livable cities, our culture and lifestyle, closer proximity to our American partners and our already established network of first-class development studios. And I haven't even touched on our growing talent pool, all those bright university graduates with art and software degrees along with the young blood coming out of the game development schools and technical colleges. On a financial level, Canadians have only just started to recognize the importance of video games. The UK government would do well to do the same if they are to grow their video game output. Nevertheless, I think regions on both ends of the pond are still struggling to recognize games as cultural works on the level of importance as music, performing arts and film. And that's a PR battle that will continue on for quite some time.